I love glass painting. You can chose the colors according to your imagination and still it turns out to be a different but a beautiful creation. 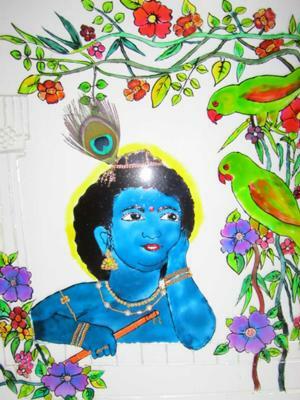 Hi Bindu, Cheryl here from Your Decorative Painting Resource. 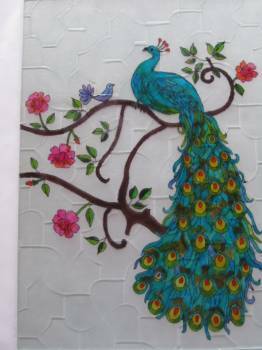 What do you do with all of your glass painted panels? Do your frame them and then sell them? They are quite lovely. 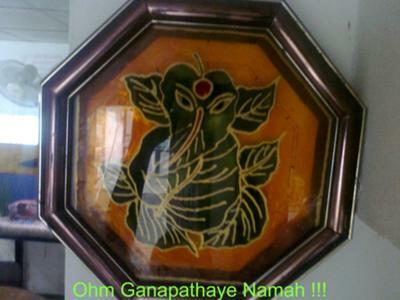 This is my trial at glass painting. It has given me an inspiration and I have taken it forward creating the beautiful work I have posted here. 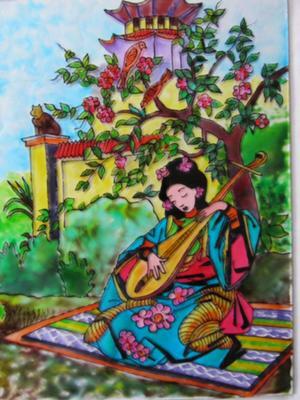 This is an image of the design I did on a pane of glass. I think it's charming and delightful. The colors are soft. This is my own design. I hope you like it. I like glass painting as my Mom does it quite beautifully. I'm still an amateur - just started but I enjoy it. Hope you like my painting! 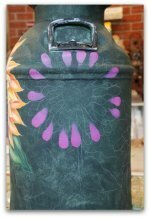 Hello Momee, Cheryl here from Your Decorative Painting Resource... what a lovely first try. You obviously have a knack with glass painting. Can you share how you did this step-by-step? Other visitors who see this wonderful work will want to know as much as I do! I want to know about glass writer...please help. 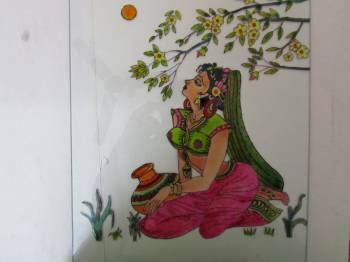 This is a beautiful glass painting. I love the colors! 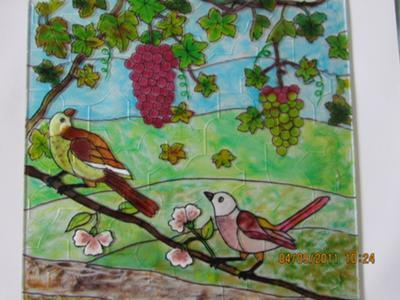 I have done many variety of glass painting, including stained glass, reverse glass and decorative work in glass. After tracing the design I apply glass colors and adhere beads and precious stones. This is done similarly to reverse glass painting. 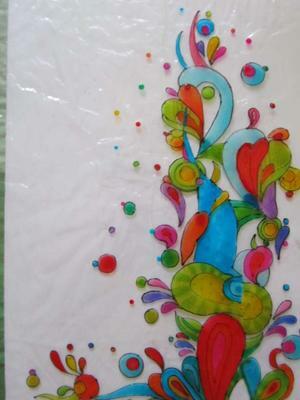 The outlining for this glass painting is done using the a permanent glass marker. Hello again Bindu. Cheryl here from Your Decorative Painting Resource. Beautiful work as always. Are the glass paints transparent? What kind are you using? 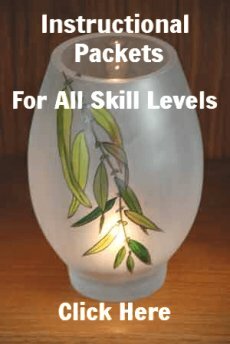 It would be great if you could share more information about your glass paintings. I am unable to draw thin outlines using the glass outliners. So I use a permanent pen which is used to write on glass surface. I can get it in fine tips which is how the peacock was done. 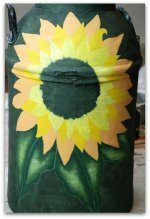 Hi Bindu, Cheryl here again from Your Decorative Painting Resource... is this your own design? How lovely. Is the texture part of the glass panel or did you paint the ridges on there yourself? Looks really nice. 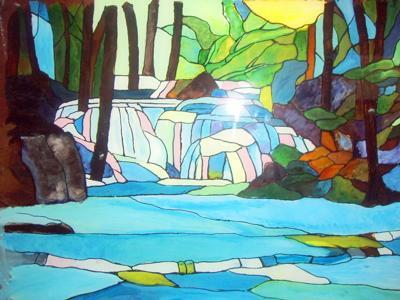 Glass Painting - Music in the wilderness. This picture is from a fairy tale. I converted it to glass painting and it turned out to be one of my best. 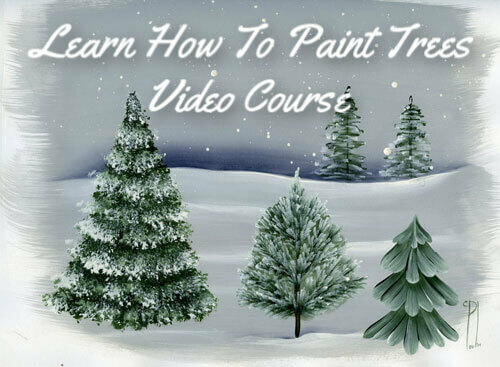 Hi Bindu, Cheryl here from Your Decorative Painting Resource. So many luscious colors. Did you start with the background? 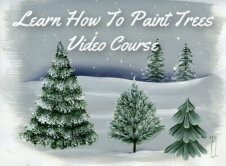 How did you layer all the paints? Did you use permanent markers for this glass painting too? 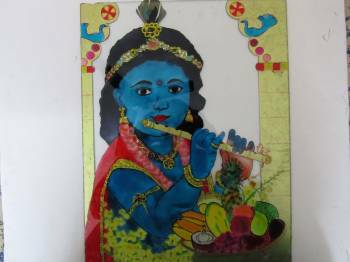 This Krishna is painted on glass and decorated using crystals and real ornaments. 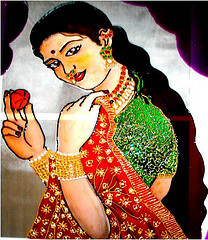 Hello Bindu, another nice image of your glass painting. What kind of glass paints are you using? Do you let them air dry or do you heat them? I'm sure visitors would love to know how you do your paintings. Do you paint on the back of the glass or do you paint on the front? I love that you added embellishments!